Australia's Qantas Airways Ltd said on Thursday it formally cancelled a longstanding order for eight Airbus SE A380 superjumbo jets. The decision, which will remove the order placed in 2006 from the Airbus order book, comes as new doubts have been raised about the future of the four-engined A380. Dubai's Emirates is exploring switching some orders for the superjumbo to the smaller A350 in a move that has Airbus looking closely at closing A380 factories sooner than expected, people familiar with the matter told Reuters last week. A Qantas spokesman said the airline had formalised its decision to cancel the order for eight A380s following discussions with Airbus. "These aircraft have not been part of the airline's fleet and network plans for some time," the Qantas spokesman said. 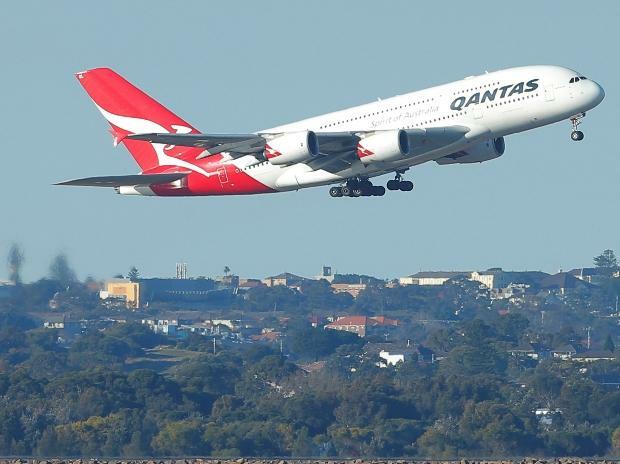 Qantas has 12 A380s in its fleet and the spokesman said it would proceed with plans to refurbish the cabins starting in the middle of this year, with the jets set to remain flying with the airline "well into the future". An Airbus spokesman said the manufacturer had agreed to the "contract amendment" announced by Qantas. "This change will be reflected in our end January order and delivery tables," the Airbus spokesman said. The Qantas spokesman declined to comment on the terms of the cancellation. It comes after another order long viewed as doubtful for 10 A380s from Hong Kong Airlines was removed last month from the end-December Airbus order and delivery tables following negotiations. Willie Walsh, the CEO of British Airways parent IAG, said last week that Airbus should lower the price of the A380 if it wanted to sell more of them. The A380 has a list price of $445.6 million, but airlines typically receive significant discounts from manufacturers.